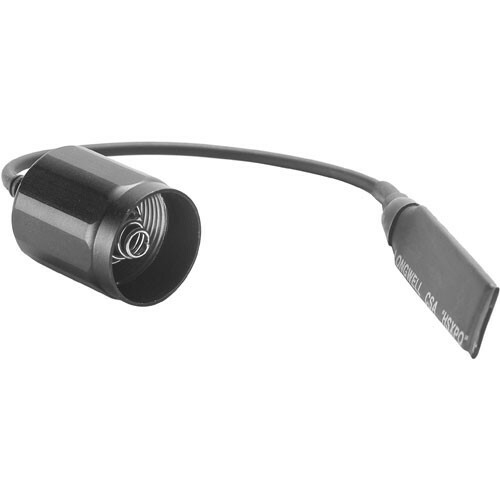 This Pelican Remote Pressure Switch fits the Pelican M1, M3 and M6 flashlights. The switch is designed to allow momentary operation when the light is mounted to a rifle or shotgun. The remote switch replaces the standard switch with a 8" cord and a 2" long pressure-sensitive switch. Attachment is achieved by the use of hook and loop tape.